There is no tsunami danger for the area. 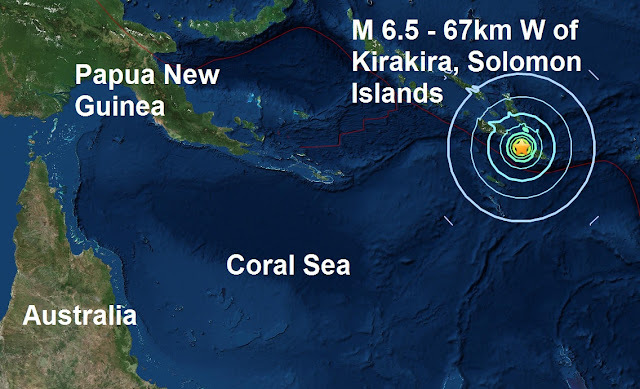 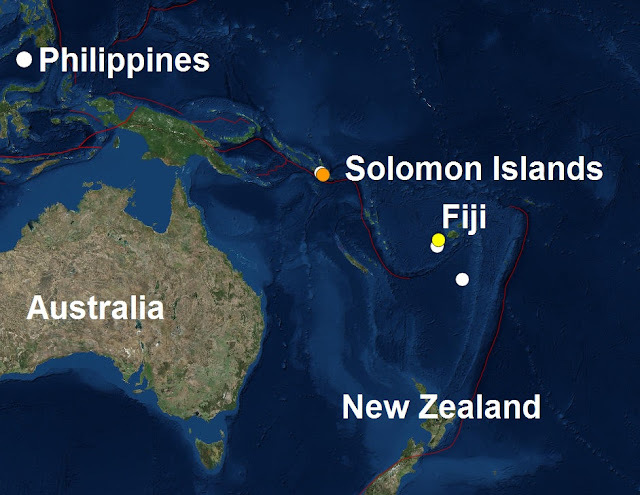 A shallow magnitude 6.5 - 67km W of Kirakira, Solomon Islands is the 6th major quake of January 2017 and all six have been in the same area, see below. 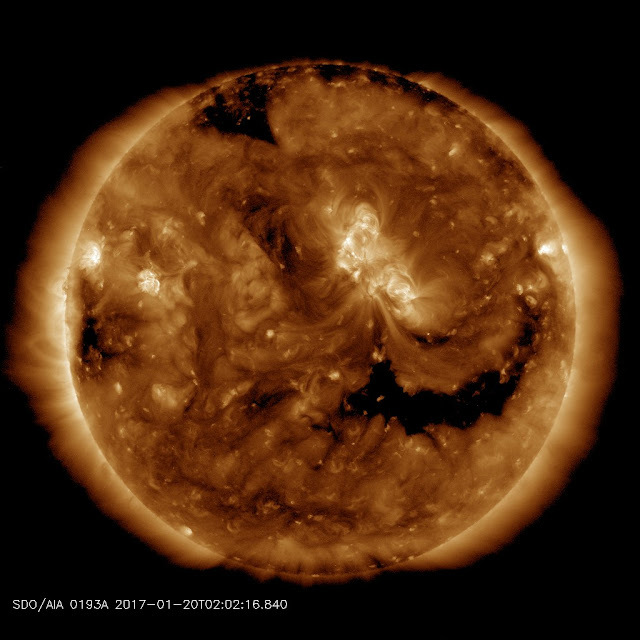 A large coronal hole on the Sun is facing Earth we could be in for more large quakes in the coming days..